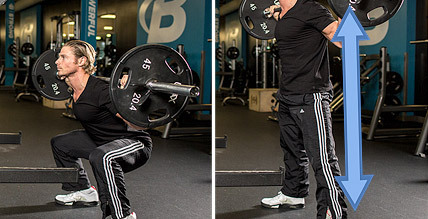 Are squats bad for your lower back? If you have no underlying lower back issues and perform them using the correct technique, squats are not inherently dangerous and can actually improve the strength of your lower back when done properly. Perform them incorrectly however, and it’s likely just a matter of time before you start running into serious problems that may leave you in need of the services at Maximize Life Chiropractic. 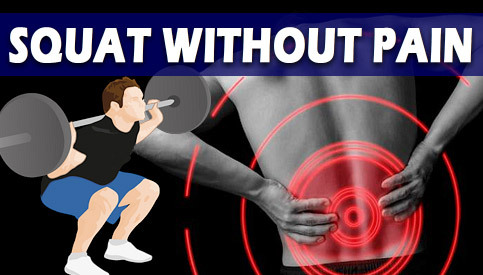 If you’ve been experiencing nagging lower back pain from squats, chances are that you’re over-looking at least one or more of the points I’ll be covering in this article. 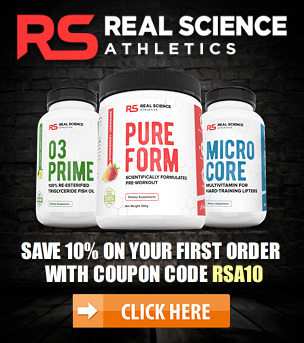 While these tips are not guaranteed to completely eliminate your lower back pain during squats (since so many different factors can potentially come into play), this is the best place to start if you’re looking for a solution. There are different ways that could help you relieve back pain. 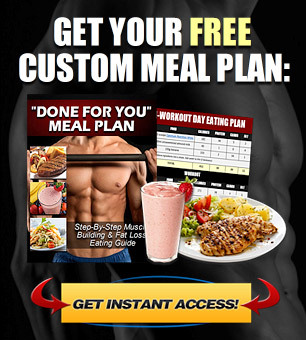 Some people who find that they are struggling with this at times turn to use supplements from somewhere like Zach Attack Supplements as a way to help relieve such pain and inflammations caused through squats and other types of exercises. Alternatively some people are finding that topical cbd application helps significantly ease the pain, so you may want to consider trying that alongside modifying your regular routine. If the pain is quite significant, taking a temporary break from heavy leg training and getting a professional diagnosis is also highly encouraged. 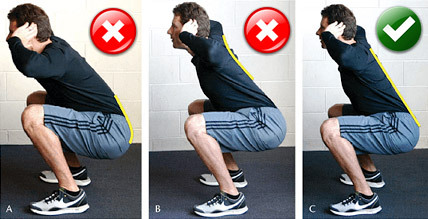 If you’re experiencing lower back pain while squatting, a proper warm up is the first and most basic place to start. 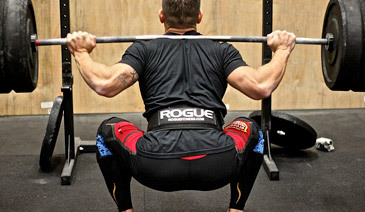 The squat places quite a bit of load on the lower back area, and jumping straight into your heavy sets without adequately warming up first can definitely be a contributing factor to the problem. A proper warm up only requires about 10-15 minutes of your time and will increase core temperature, improve mobility, lubricate the joints with synovial fluid and even increase your overall strength and performance during the workout. For a complete step-by-step sequence you can follow before your squatting sessions, check out my complete lower body warmup and mobility routine. It includes a well-rounded combination of mobility exercises, stretches and self-myofascial release movements to get your lower back warmed up and ready for the heavy weights to come. If you’re unable to perform the squat using proper form and a full range of motion where your thighs are at least parallel to the floor in the bottom position, the weight is too heavy for you. Period. Loading up more weight than you can truly handle and then pumping out tiny half-reps or quarter-reps is not helping you build your legs more effectively. All it’s doing is hugely increasing the strain on your lower back and knees while reinforcing poor lifting technique that will inevitably catch up to you in the long run. 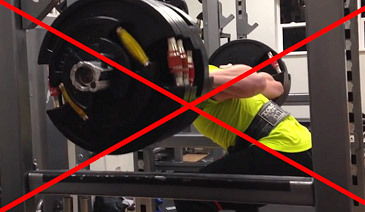 If you’re serious about getting rid of your lower back during squats and maximizing your leg development, it’s time to stop “ego lifting” and start placing proper form as your absolute top priority. Although each person has a differing body structure in terms of limb length, virtually anyone should be able to hit parallel during the squat with enough practice. If you have been guilty of using a limited range of motion on your squats up until now, one thing you’ll notice is just how much of a difference those last few inches make when it comes to firing up your quads and glutes on each rep. So, lighten up the weight, work on your form, and only begin increasing the load once your technique has been perfected. One of the most common causes of lower back pain while squatting is failing to maintain a neutral lower back throughout the exercise. Allowing your lower back to round over or curve excessively places uneven pressure on the spinal discs leading to possible bulges, herniations or pinched nerves. To maintain a balanced load on your lower back during the squat, you’ll want to keep your lower back in its natural (very slightly curved) position. It should be the same curve that you have when you’re standing. One of the most effective ways to prevent your lower back from rounding is to spread your knees outward and ensure that they remain in line with your toes throughout the squat. If you find that your knees tend to naturally cave inward during the squat, weak/inactive glutes and/or tight ankles can also be a contributing factor. 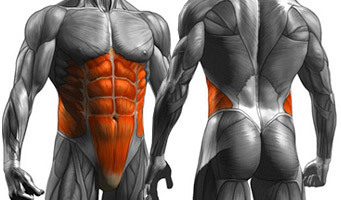 When it comes to excessive lower back curving, the best way to prevent this is by keeping your abs flexed and ribcage down, in combination with proper breathing which we’ll cover shortly. A bit of forward lean during the squat is normal (especially if you have long femurs), however, leaning too far forward will place a lot of pressure on your lower back and can easily lead to injury over the longer term. To keep your torso more upright while squatting, make sure to keep the bar balanced over your mid-foot. If the bar rolls up your spine and over your toes, it will naturally pull your torso forward. Maintaining a tight upper back will help to prevent the bar from moving. Another useful form cue during the squat is to focus on maintaining a “big chest”. 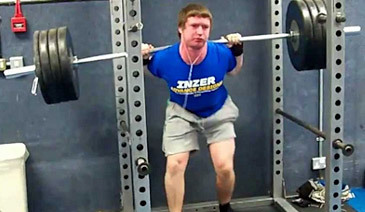 Keeping your elbows underneath the bar (or at least as far underneath the bar as you comfortably can) rather than pointing them backward will cause your chest to automatically pop upwards. As you drive yourself out of the bottom position of the squat, make sure that your chest and hips rise at the same time. If your hips rise too early, your torso will automatically lean forward and turn the exercise into more of a good morning rather than a squat. Proper core control is crucial to prevent lower back injury from squats. A common piece of advice trainers will give to their clients is that they should hollow their spine and draw their belly inward while squatting. In reality, the exact opposite is true since hollowing your core decreases spinal stability and significantly increases your risk of lower back injury. Instead, what you want to do is “brace your core”. To do this, fill your belly with as much air as possible and push your abdominals out as you’re in the standing position prior to squatting down. A good cue for this is to make the same motion you would as if you were about to be punched in the stomach. Once you’ve drawn in that big breath, squat down and drive yourself back up while keeping the breath inside. 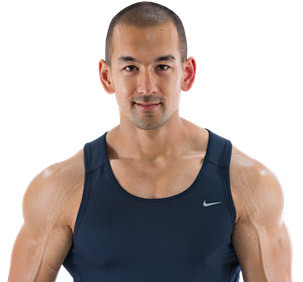 Don’t blow it out until you’re back in the standing position, at which point you should draw in another breath before performing the next rep.
Bracing your core will increase intra-abdominal pressure for additional spinal support, and will help to prevent your hips from rising too early and your back from rounding over during the lift. When you’re in the standing position of the squat, don’t push your hips backward or arch your lower back excessively since this will increase the pressure on your lower back. You should be standing in a fully upright position with a straight line from your shoulders down to your ankles, and your lower back should be in its natural (very slightly curved) position. Don’t round your lower back over by tucking your pelvis in excessively either – just maintain the same position you naturally would if you were standing without any weight. This might seem like an obvious point, but performing the squat with an uneven load from side to side is an often overlooked cause of lower back injury from squats. Always make sure that the bar is set evenly across your upper back and that your grip is even on each side. Also check to ensure that your stance is equal and that your feet are both pointing at the same angle. 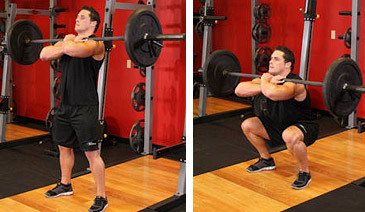 As you perform the squat, don’t allow one leg to take on more work than the other. Focus on driving the weight up evenly using both feet, and make sure the bar isn’t “tipping over” to one side either. Any imbalances from side to side, even if they’re very slight, will cause your spine to twist and will increase the stress on your lower back, especially as you progress to heavier weights. While a lifting belt should never be used as a crutch for bad form, it can help to provide some additional support if you’re experiencing lower back pain while squatting. 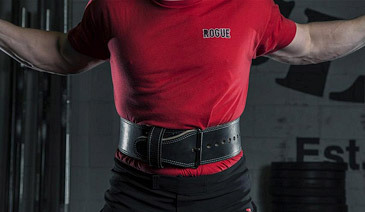 If you do decide to give a weightlifting belt a try, just make sure you’re using it properly or you might end up doing yourself more harm than good. This means wearing your belt tight enough to provide significant support to your lower back, but also loose enough that you’re still able to draw a full breath down into your stomach. As you pull that breath in, you should feel your entire trunk fill up with air with even pressure on the belt in all directions, not just in the front. The purpose of the belt is to provide something extra to brace your abs and core against, so always make sure to leave enough space to allow for this. If you can’t breathe properly, loosen the belt up a notch or two. 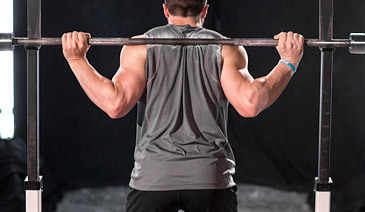 If you’ve tried all of the previous tips and are still experiencing nagging lower back pain on squats, another option is to swap out the traditional back squat for a front squat, at least temporarily. By positioning the bar out in front of your body across the shoulders rather than on your upper back, a lot less load is placed on the lower back. You also won’t be able to handle as much weight on the front squat, further decreasing the chances for lower back injury. 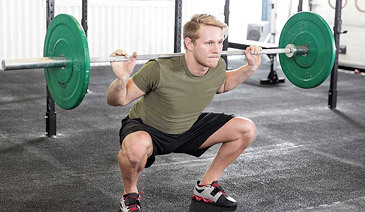 The front squat has been shown to be just as effective as the back squat in terms of overall muscle recruitment, though it does shift a bit more emphasis onto the quads as opposed to the glutes. If front squats don’t seem to be helping out either, a Bulgarian split squat is another good option that places even less stress on the lower back while still being a very effective lower body movement. If neither of these squat variations seem to be doing the trick, your best bet is to just take a break from squatting movements altogether to give your lower back a chance to heal. Take some rest from heavy compound leg training and go get it checked out by a professional to see if there are any other underlying issues at play that need to be addressed. Whether you’re a competitive athlete or an average gym-goer, an aching lower back can be a serious nuisance that prevents you from progressing forward in your workouts. Luckily, most lifters can significantly diminish or even eliminate their lower back on squats altogether using the correct knowledge and training approach. Give these 9 tips a try and see how it goes. Even if they don’t cure the problem completely, they’ll definitely be a big step in the right direction either way.